WOW! That's about all you can say about this year's version of Rock Star. WOW! 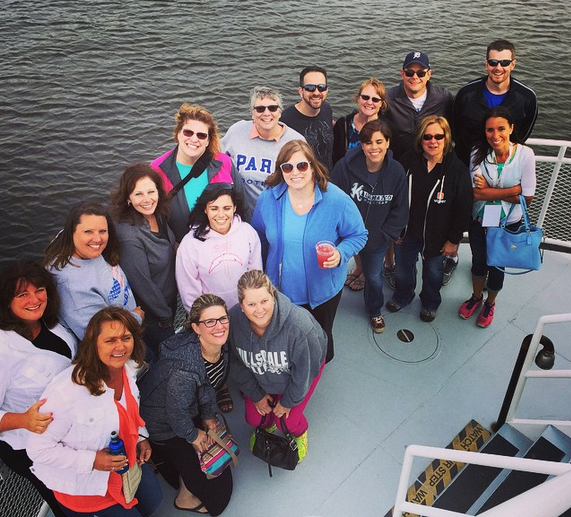 Close to 100 educators gathered as attendees and faculty for three days of hands-on learning and collaborative conversations in the beautiful Saugatuck Michigan. What not all of them realized was that they ALL would leave as Rock Star Teachers ready to engage learners in new and deeper ways while surrounded by infectiously positive new group of cheerleaders, collaborators, and friends. CUE Rock Star events are built so that there is one presenter for every ten attendees and the events sell out at 60-70 attendees. This allows participants to get hands-on support and learn directly from knowledgeable educators. CUE Rock Star events are built so that there is one presenter for every ten attendees and the events sell out at 60-70 attendees. This allows participants to get hands-on support and learn directly from knowledgeable educators. The amazing Faculty is there to support YOU, the real rock stars. The staff isn't who these events are about. The attendees are the real rock stars and contribute to the magic these camps produce. These three days focus on bringing out the best of all in attendance and launching a new crop of edtech leaders. We purposely start late, end early, and take extended lunches so that all attendees have ample opportunities to collaborate and network as part of learning community. Here is a small glimpse into all of that in action last summer.